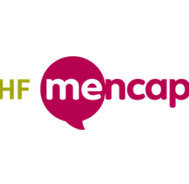 H & F Mencap is an independent local charity supporting children and adults with learning disabilities and their carers and families. Hammersmith and Fulham Mencap was started in 1964 by a group of parents and carers who got together to fight for the rights of their adult children with learning disabilities to have access to day service provision. The parents/carers offered each other support and met informally in their own homes. Over the years we have grown into a multi-project service provider to support people with learning disabilities and their families. They are celebrating our 50th year and I hope that those parents and carers would be proud of our local presence and reputation continuing to campaign locally for the rights of children and adults with learning disabilities. HF Mencap became a limited company in 2013 and we are affiliated to Royal Mencap. Their Mission is: To work with and represent people with learning disabilities and their families and carers to ensure their voices heard and their rights met.